Day traders can profit on both sides of the market. What is Short Selling Stocks? It is the opposite of the buy low and sell high strategy. A short seller will sell high and buy (cover) low(er). Shorting selling involves selling shares of a stock that is borrowed with the intent to buy back later (preferably) at a lower price to cover, at which point the shares are returned to the owner. Ideally, the trader wants to sell high and buy low. The intent is to profit by buying back, also known as covering, at a lower price. The notion that stocks fall faster than they rise, and over extended stocks will always pullback is what fuels short sellers. However, while the belief that all stock rallies ultimately have pullbacks, the timing may not always coordinate with the notion. If the stock rises higher that the entry point on the short, then losses will mount, which can cause the short seller to buy cover and stop out for a loss. If the stock rises too far against the seller, it can trigger a margin call and forced liquidation where the broker automatically starts to buy-cover the shares in the open market. This is how short squeezes are formed. The mechanics of short selling may seem a bit daunting at first, but in reality is almost no different than going long a stock. The legwork of borrowing shares is done seamlessly through the broker. The trader simply sells the shares (short) as if they already own the shares in the account and closes out the trade when they buy back the shares. Seasoned traders are able to trade stocks short just as seamlessly as they trade long. Timing is everything. It is important to plan the trade out ahead of time and decide if the trade will be a short-term reversion pullback scalp on up trend or an entry into an existing downtrend, reversion or trend? Every broker will have a list of currently available stocks for shorting and how many shares are available. This is known as the borrow list. While this list can be too big often times to search through, most trading platforms will instantly confirm if shares are short-able simply by placing a short sell order out of the market (to avoid getting accidentally filled) or looking up the symbol on the platform. If a specific stock is not listed as short-able, then a request for a “locate” can be sent via the platform or contacting the broker through phone, e-mail or messenger. Direct access brokers tend to have the best locate ability to locate hard to short shares. These may incur an additional charge and diminished margin capability. Shares that are too hard to locate can also be susceptible to margin calls. When a stock price rises too far against the short seller, it can incur a margin call. All brokers have a margin maintenance level that must be maintained. If a trader has used up all his buying power in a short position, it can become a very dangerous situation if the stock continues to rise against him. If the maintenance margin level surpassed, the trader will need to add more capital to the account or buy-cover some or all of the short position to stay within the maintenance margin levels. Failing to take an action can result in an automatic forced liquidation by the broker. Forced liquidations involve the broker closing out some or all of the short position by buying to cover in the open market. This net buying action can add fuel to the fire on a stock that is squeezing and is often the cause of short squeezes. When a stock is heavily shorted, it can become a crowded trade as short-able shares become unavailable thereby trapping the short-sellers as the price rises. Desperate shorts will try to buy-cover shares to trim losses, which then causes the stock to rise higher as more buying comes into the market. The buying begets more buying as the stock goes parabolic from the frenzied short covering, much of this buying coming from forced liquidations. The proverbial fire in a crowded movie theater scenario applies to the short sellers here. Panic forms as shorts desperately attempt to exit the burning theater, which is a metaphor for the short position. Short squeezes can last from hours to days and weeks in come cases. When short shares are unavailable, naked shorting involve shorting shares without having the actual borrowed shares. It is considered illegal for retail traders to perform. Retail traders usually don’t have the means to naked short anyway. Market makers and stock and options specialists are the few participants allowed to naked short in order to make a market in stocks and options. There has been much controversy over the shadowy world of naked shorting. Much of the illegal naked shorting is done through offshore accounts outside of the United States away from the jurisdiction of the Securities and Exchange Commission (SEC). Naked short selling can drive down stock prices relentlessly since there is no borrowing involved. The goal is naturally to stir enough panic to cover shares much lower. Having an unlimited supply of short-shares (illegally) can result in non-stop pounding of the bids. In 2007, the CEO of Overstock.com (NASDAQ: OSTK) Patrick Byrne waged a war against naked short-sellers, whom he blamed for the massive decline in the company’s stock price. Byrne stated that Overstock.com was a target of ruthless hedge fund short-sellers that illegally naked short-sold shares and planted negative articles and coverage to methodically drive down share prices. He claimed this was an orchestrated attack in which the hedge funds conspired journalists, analysts and prime brokers. Byrne sued hedge fund Rocker Partners, Gradient Analytics and a group of 12 prime brokers including Goldman Sachs. While Rocker Partners settled with Overstock for $5 million, the case against the prime brokers still continue at the moment. Updating the rules on short selling and naked short selling for the first time since 1938, Regulation SHO was implemented in January 2005. These rules established the locate and close-out standards for brokers requiring shares to be available by a specific date before shorting can occur. The Regulation SHO Threshold Security List composes of companies believed to have naked short shares out in excess of 10,000 shares that have failed to be delivered. Enforcement of Regulation SHO has been lax according to many pundits as naked shorting still continues in exotic forms like buy-writes, married puts and customizable flex options. 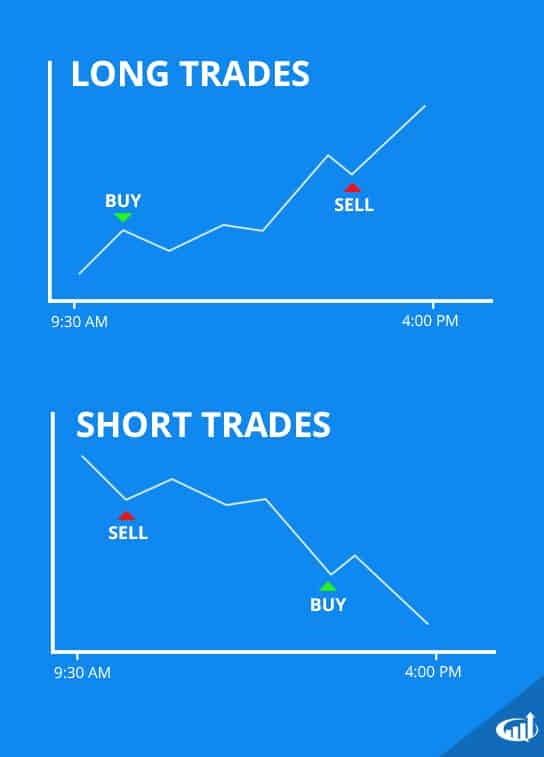 Want to learn more about short selling stocks? Check out our free video course covering everything you need to know about short selling.